Trowbridge plantation shutters by Just Shutters, your local experts. 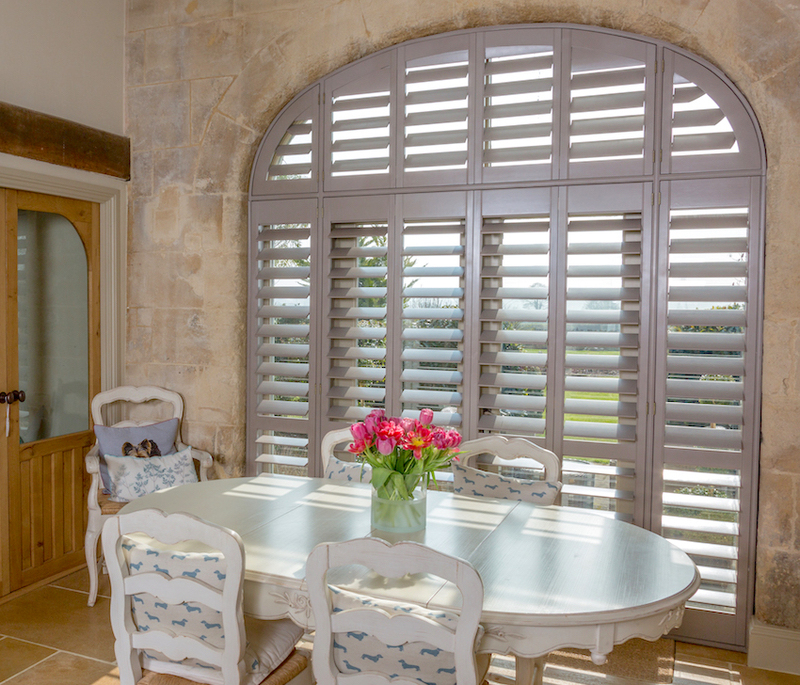 Whether you live in a stunning converted Trowbridge mill with huge arched windows, a Victorian townhouse, or country residence, whether you reside in a historic or modern home, whether your taste is for the contemporary or for the traditional, Just Shutters can design, create and install the perfect shutters for you. Call us on 01225 302599 for more information. Trowbridge, the dynamic county town of Wiltshire, is home to magnificent and significant industrial and Victorian architecture – with windows to match! Here at Just Shutters we understand the importance of matching the perfect shutters to each and every one of our customers, and when it comes to experience, no-one can boast more! Just Shutters are the experts, shutters are what we do and they are ALL we do. Every one of our beautiful plantation shutters is designed and made individually, each hand designed drawing is then sent to the largest and best shutter factory in the world where your shutters will be created by the best in the business. Sent back to us to expertly install, you know you are in safe hands throughout the process. Shutters are of course a design statement, stylish and stunning, they are the window and door covering of choice for many interior designers, in fact they are the largest growing market in the window covering’s sector. But their popularity is not just ‘skin deep’ beyond that glamorous exterior, lies a range of practical benefits that mean your shutters won’t just delight your eye, they will be a pleasure to live with for years to come. Reducing dust and allergens that can collect on fabrics, they aid a healthy home, reducing noise and glare they lead to a peaceful home, and keeping out the gaze of the neighbours, they ensure a private home! Shutters really are the best choice for your windows and doors, and we are the best choice for shutters, so call us on 01225 302599 or follow the links below and allow us to prove why we simply cannot be beaten when it comes to plantation shutters. You will not find better shutters in Trowbridge – Can we guarantee it? We LIFETIME guarantee it – so confident are we in our quality, we back up our word, we put our promises where our wallet is! All our products come with a lifetime guarantee. Just Shutters reputation in the field is unsurpassed; we are the experts when it comes to plantation shutters in Wiltshire and beyond. But don’t just believe us – ask any of our 7000+ happy customers. We hope that is you are considering plantation shutters we can soon add you to that number. Installation of shutters to front bay window. Fitment of plantation shutters to 3 windows. Fitted shutters to French doors.